The memory of such a terrifying incident can cause people who were previously dog lovers to instead shrink away from animals, and if you’ve been bitten or attacked by a dog, then you deserve compensation for your injuries and for the emotional damage that resulted from the incident. For more than 30 years, we’ve fought on behalf of accident victims just like you. You shouldn’t be defined by a dog bite or any other accident, which is why we will work thoroughly and diligently to gain you compensation from those whose negligence caused your injuries in the first place. 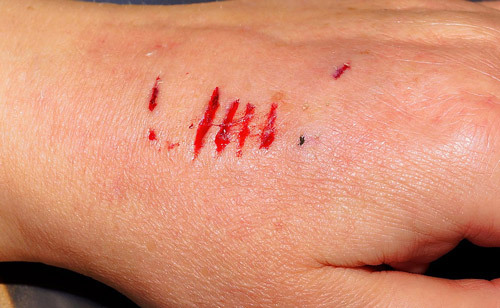 It’s been estimated that 850,000 people receive treatment for a dog bite in an emergency room every year, and 60% of those victims are children. Although a majority of those aren’t life threatening, the bill for the damage inflicted shouldn’t rest on the innocent victim. If you’ve been bitten by a dog, then one of the most important things you can do right now, aside from contacting a qualified legal representative, is keep a detailed record of the financial penalties that you’ve faced as a result of your accident. This record is absolutely essential in proving the losses you’ve suffered, and with it, we can present your claim in a way that all but ensures you receive compensation for the things listed above. You likely have questions at this point. So to receive a free consultation from a member of our expert legal staff, simply dial our number or fill out the form on this page. Our lines are open at all hours of the day or night, so within seconds, you could be speaking with someone who can put your life back on track. Even if you’re not sure that you have a case, it can’t hurt to give us a call. A bite can occur in a public place, when a dog is on or off a leash, or on the owner’s property. The simple truth is that a bite is a bite, and no matter the exact circumstances, you don’t deserve to face the pain without financial assistance from the negligent party. We can help you get that compensation. Contact the Riverside dog bite attorneys of the Nagelberg Bernard Law Group today to get started.